Cambridge, Mass. : MIT Press, 2004. Octavo. Fine, Wraps, octavo. vii, 399 pp. + CD-ROM. 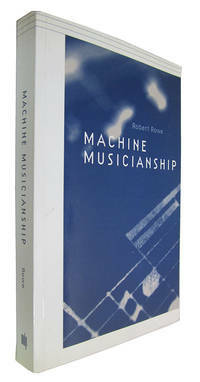 Machine Musicianship is both a programming tutorial and an exploration of the foundational concepts of musical analysis, performance, and composition. The theoretical foundations are derived from the fields of music theory, computer music, music cognition, and artificial intelligence. The book will be of interest to practitioners of those fields, as well as to performers and composers. The concepts are programmed using C++ and Max. The accompanying CD-ROM includes working versions of the examples, as well as source code and a hypertext document showing how the code leads to the program's musical functionality.